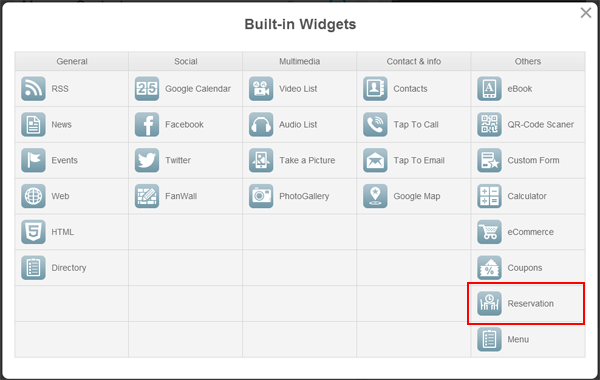 The widget allows you to provide your users with an opportunity to reserve tables in your Bar or Restaurant. How can I embed this module into my app? 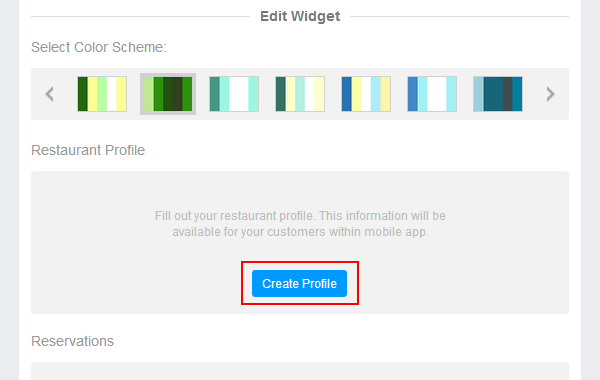 When you are ready with your Profile you can choose your color scheme. 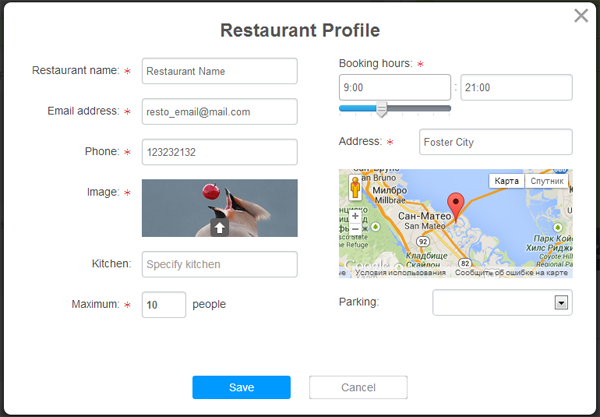 Use filters above the table to search reservations. By default the filter is settled to "Today". Click "Tomorrow" or "All" control to view upcoming reservations. Click "Week", "Month", "3 Months" or "Year" to view reservations history. To change reservation status use the "Status" drop down list on right.